It has been a crazy couple of years here in my life. I have a new job and last week we just moved into our new house. It is located in Allegany county in New York. The house is our dream house with 30 acres in the country. It has a 1/2 acre pond and multiple streams and seeps. I am hoping that I can resurrect this blog as a place to journal my explorations of the new property. 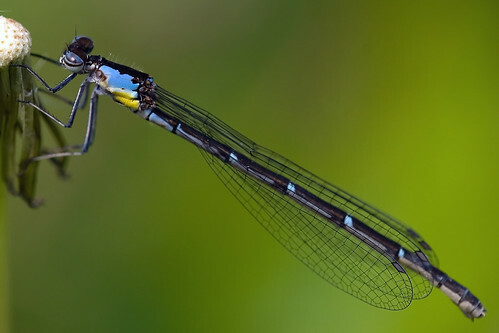 So far for damselflies I have seen Eastern and Fragile Forktails. 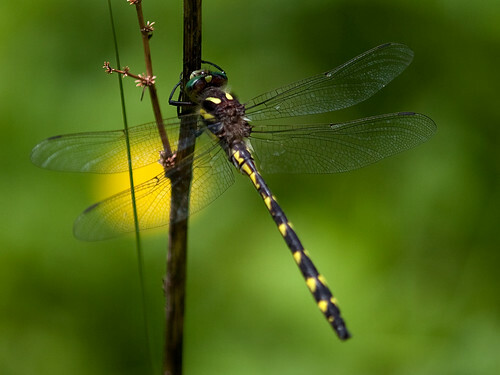 The Common Baskettails are thick around the pond right now and I have had several emerge in the house. 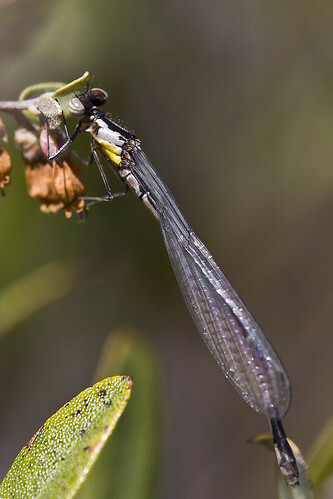 I also had a Dot-Tailed Whiteface emerge in my aquarium, and our first day here I found a teneral female Ashy or Dusky Clubtail. 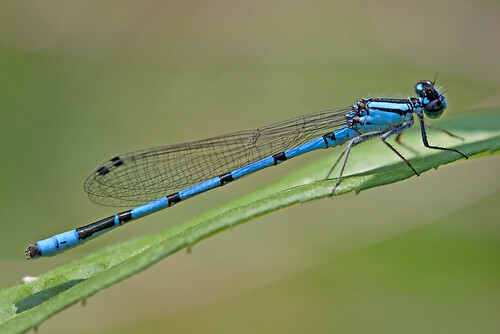 I hope to get out with the camera soon! I have been able to photograph some of the flora around the house. I missed seeing the Bloodroot in bloom, but it just covers sections of the woods like nothing I have seen before. 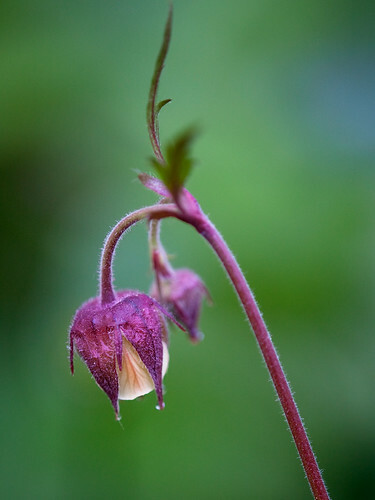 I also have lots of patches of Jack-In-The-Pulpit, Swamp Saxifrage, Purple Avens, and lots lots more. I hope to compile a list over the next few years along with some nice trails to some of these hot spots. This past weekend kicked off the ode season for me. Friday we drove down to Jamestown to meet Karen’s old Girl Scout troupe to spend the weekend camping. On the way we stopped by the Jamestown Audubon to take a walk around the ponds. 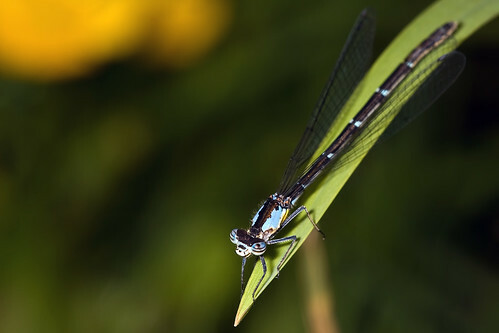 It was a bit chilly and windy, but I saw my first dragonfly of the season at the first pond we saw. 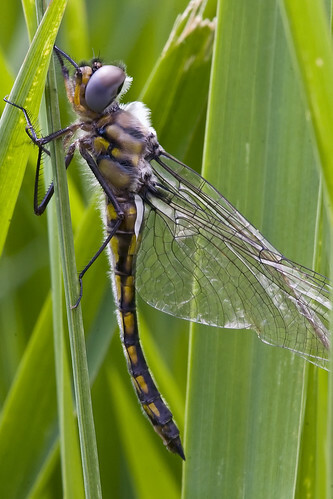 It was a Common Baskettail teneral that was clinging to the grass on the edge of the pond. I usually find mass emergences this weekend so it was right on schedule. 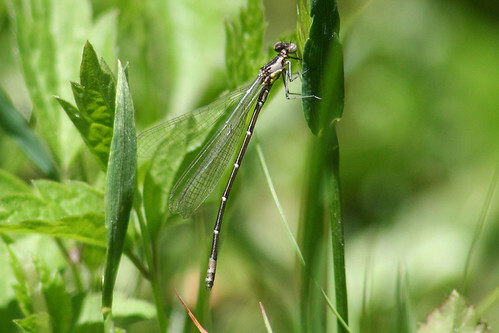 Soon after I saw my usual first damselfly, the good old Eastern Forktail. It is always a pleasure to walk the trails of the Jamestown Audubon. We got to Camp Timbercrest later that night and enjoyed our usual Friday night pizza sandwich dinner in the pie irons. The next morning I met mon@rch at his bird banding site before we headed over to the Allenburg Bog. 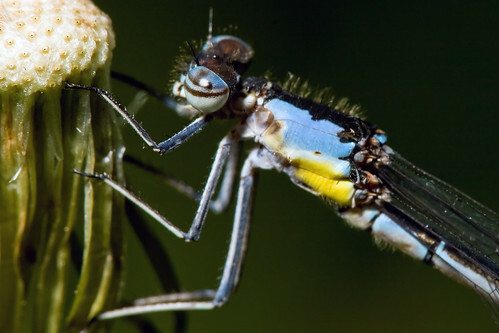 We only saw a few odes there, but the rest of our discoveries more than made up for it. Visit Tom’s blog to see what else we saw! 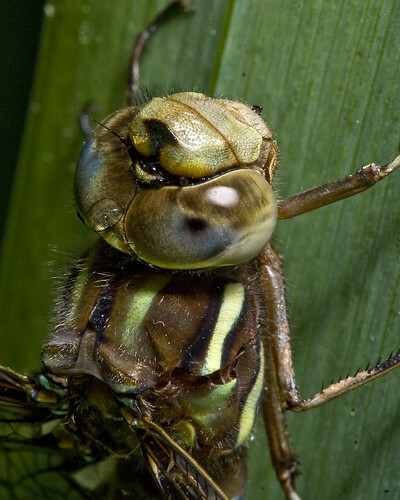 Walking in the field that borders the bog property we saw a mosaic darner, most likely a Springtime Darner. 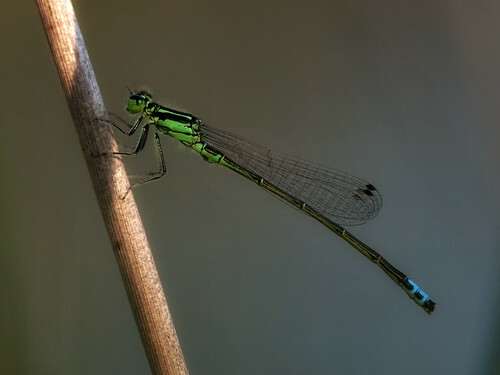 At the open bog site we saw a Common Green Darner and an Aurora Damsel. This was the first time I had seen an Aurora at the bog, but this is not all that surprising since I have never been to the bog during their flight period. After I left Tom, I headed back to Timbercrest to take the girls on an afternoon hike. 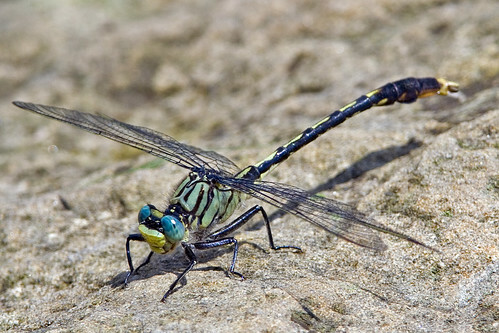 Around the inlet to the camp “lake” I picked up a hitchhiker on my pant-leg, a Northern Pygmy Clubtail teneral. This was not a first for the county, but it was the first time I have ever seen one. 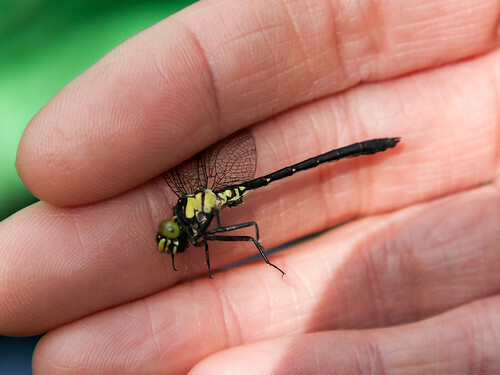 Hopefully I will be having many more dragonfly encounters this summer! While I have been waiting for my wife to go into labor I have been working on my records. Yesterday I finished the data sheets for the NY DEC survey, and dropped them in the mail. Today I finally got around to logging into my OdonataCentral account and start uploading records. I just finished putting in all new county/species records from 2005. I had 15 new records in 2005, but only uploaded 13 of them. The other two did not have good enough pictures to make a correct ID, but I have better pictures from 2006. Uploading your records is made very easy. Before they are accepted a biologist needs to review each record for correctness. 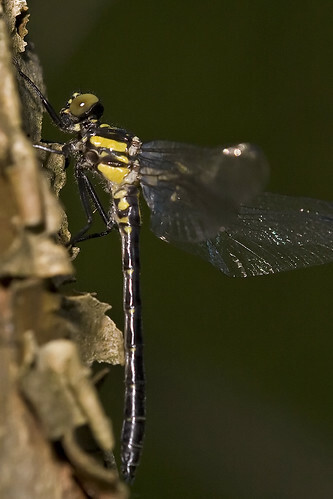 This site is the definitive storing house for dragonfly research. You can search by counties or by species. It uses Google earth to display collection locations. Check it out and upload your records!